...to Versatile Beauty: the Fanlisting for the multi-talented and beautiful (inside and out!) Drew Barrymore. This is the fanlisting for Drew as an Actress, a Director/Producer, Model and Physical listing. 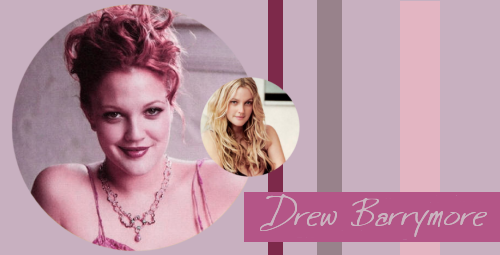 If you're a fan of one or more of these aspects of Drew and would like to become a member, please join! This site has been online since December 2, 2007, after I adopted the physical fanlisting from Kya. It was also previously owned by Anna. The Director/Producer and Model aspects were adopted from Christine. I have no affiliation with Drew Barrymore. This is just a fansite.